4380 OLYMPIC GAMES: NOWOGARD WINS THE NOMINATION OF TOC! It is certain that the capital city of the Republic of Valruzia - Nowogard - will host the Summer Olympic Games in 4380. The city was awarded the title official title of the 4380 Summer Olympic host during a special conference of the Terran Olympic Committee in Fort Willian which was considered as Nowogard's main competitor in the race for the prestigious title. It was the first ever bid of a Valruzian city to host the Olympic Games and Nowogard will be the first Valruzian city to host the Olympic Games. The 4380 Olympic Games will take place in July and will last from July 1st and will be closed on July 24th. The works on the Olympic Park in Nowogard called "House of Peace" are near completion. Last edited by Masionette9 on Wed Apr 11, 2018 3:50 pm, edited 1 time in total. PARTY EAGLES RESPONSE TO PRESIDENT'S UPBRAID. "Party Eagles won't mix into international politics" - says Jan Łosiewicz, Chairman of the Party Eagles. Any international matters are in hands of Mr Aldabert Krasoń from Committee for the People's Democracy. Also, policy towards Seleyan Union lies in their hands. Even if we would like to build up a military, it's the matter of Arnold Markusid from Radical Party of Syndicates. 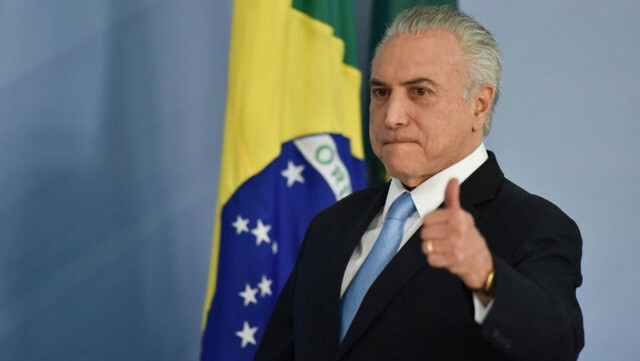 Prime Minister will try to talk with Council of Ministers, but people elected socialists and conservatives into government, and another parties have to accept election results. PRESIDENTIAL PALACE: EXTREME MISUNDERSTANDING OF THE IDEA OF OFFICE RESPONSIBILITY OF THE COUNCIL OF MINISTERS IS APPALING AND ALARMING. PRESIDENT ANNOUNCED CALLING SESSIONS OF BBN ONCE EVERY WEEK UNTIL TERM'S END. To the President's great surprise the largest party in the governing coalition responsible for the works and performance of the Council of Ministers intends to avoid taking the responsibility for the aforementioned performance of the highest bodies in the Republic. The current situation in the Council of Ministers according to the President can be described as a case of extreme misunderstanding of the idea of the responsibility of the Council of Ministers. President has described the situation as appalling and alarming for the stability and security of the whole Republic. That is why the President of the Republic of Valruzia will use the whole range of the powers vested in him as the President of the Republic and will do everything available at his discretion in order to keep the level of the national security at the highest possible level. That is why the President announces that the Bureau of National Security will be called each Wednesday until the end of the current term. President of the Republic of Valruzia. PRIME MINISTER RELEASES SRATEMENT TO MINISTRY IF NATIONAL DEFENCE. ELECTION 4375 | The UR celebrates as the Eagle Party loses. BRZAŃSK - It certainly has been a delightful night for the progressives all across the country. After a difficult term and a disasterous performance of the Eagles Party government, the now former opposition is back on top. The Equality Union increased it's share of the seats in the Sejm by an overwhelming number of 33. In the meantime the governing, staunchly right-wing Eagles' Party lost 10% of their seat share (down by 27 seats). This victory wouldn't be possible if it weren't for the curageous Barbara Mikołajczak who rallied the opposition with a powerful progressive message, offering a real alternative to the government's dangerous policies. Currently the Equality Union is working tirelessly to form a new government with it's old allies - the Liberal Party and National Unity - as well as with their newly found ally, the Moderate Party. I think it's been a wonderful night for all of us. After four tough years we've once again freed ourselves from the crazy radicals in the now OUTGOING government! And it wouldn't be possible without your support! You're truly wonderful! I would like to thank every volounteer, from old to young, from women to men, thank you! I would also like to thank my wonderful husband and family from supporting me on this difficult journey. But most of all I would like to thank each and every voter who's put their faith in me, this party and our values! Tonight is time for celebration, but tommorow we're getting back to work! It's time to help the elderly to make sure that they get what they need! It's time to aid the LGBTQ+ community in their continious fight for acceptance and respect they deserve! 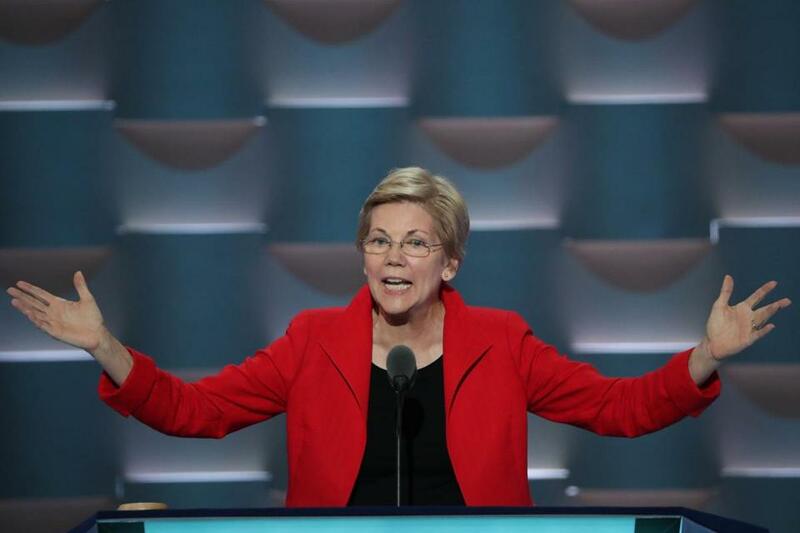 It's time to make sure that women, minorities and people of color are equally represented in the workforce! It's time to protect women and the rights they had to endlessly defend for the past few years. And most importantly it's time to restore a government based on truth, fighting for every citizen of Valruzia! NOWOGARD 4380: MOND TO DEPLOY 15.000 TROOPS TO PROVIDE THE OLYMPICS HIGHEST LEVEL OF SECUTIRY, PSO TO CONTROL THE AIRSPACE OVER THE CITY FROM MAY TO SEPTEMBER 4380. NOWOGARD - The Ministry of National Defense announced that up to 15.000 military personnel will help to provide security at the Nowogard 4380 Olympic Games. Security would be police-led but the presence of the military will increase the overall level of safety and will shorten the reaction time of the forces responsible for securing the event. Last week, MOND has increased the budget for the security of the Games from VPO 900 million to VPO 1.25 billion. In addition to the 15.000 figure, there will be a 2.500-strong unarmed contingency force ready for deployment in the event of an "Olympic related civil emergency". President of the Valruzian National Olympic Committee during the TOA summit in Sangon, Tukarali. SANGON - With a little under fifteen months until the opening ceremony, Nowogard is ready to host the Olympics and according to the President of the Valruzian National Olympic Committee (VNOC) Jerzy Strzembosz will amaze the world with the quality of the Games which will set the bar for the upcoming Games high as never before. According to the Terran Olympic Association, Nowogard has managed to fulfill all requirements for the Olympics already in 4377 with the Olympic Park completed in 100%. The TOA has confirmed that the progress of works in Nowogard really impressed the association and that it is certain that the Games will be a success for the TOA and VNOC. During the summit of the TOA in the capital city of Tukarali the President of VNOC spoke about the technical details of the Olympic Park as well as utilities outside the Olympic Park which will serve the athletes as well as tourists willing to see the Games. Strzembosz praised the City Council of Nowogard for a rapid decision and initiation of the construction of the new airport for the city which was finally opened three months ago and has managed to undergo a true test of its capabilities. VNOC expects that three major airports will serve as the main airports for the whole Olympic Games - Nowogard Ignanski Airport, Central Nowogard Airport, and Brzansk Olimpia Airport. After successfully hosting 24 test events, the Olympic Park in Nowogard - House of Peace - has proven itself ready for action, with all facilities receiving their final touches before athletes start to arrive in about 13 months. The velodrome and equestrian venues, which were being monitored closely by the organizers, are also in the final stage of preparation and will be ready for the Games. LOT Valruzian Airlines plane with the logo of the Nowogard 4380 and slogan "See You in Nowogard". NOWOGARD - With the Olympics in Nowogard a little more than a year away, the VNOC and LOT Valruzian Airlines announced that the flag airline of Valruzia will become the official airline partner and a major sponsor of the 4380 Olympics. The deal between the VNOC and LOT is estimated to be worth 25 billion peso. The deal gives LOT marketing rights to the Nowogard 4380 brand and the airline will undertake community projects around the Games as well as providing travel bursaries to aspiring athletes. LOT fought off competition for the airline from other Valruzian domestic airlines, as well as foreign such as Indralair or Fly Indrala. NOWOGARD - A spectacular avalanche of criticism swept throughout Seleya and fell on Mordusia after the President of the Mordusian Olympic Committee, Frederick Hunt, threatened the three whistleblowers athletes Jean-Baptiste Duchemin, Edouard Delaunay and Lucy Miller with the possible ban of exiting Mordusia and participating in the Olympics unless they participate in the Games under the Mordusian flag. Duchemin, Delaunay, and Miller announced that they are considering withdrawing from the Olympics in spite of the deteriorating condition of the LGBTQ rights in Mordusia, as well as gradual revocation of Canrillaise minority rights. As an initial response, the Valruzian National Olympic Committee has proposed the three rebellious athletes participating under the Independent Athletes Flag, but now after the athletes' freedom has been put at risk by their own Olympic Committee, the Ministry for Foreign Affairs decided to step into action. Valruzian Minister for Foreign Affairs, Izabella Vinciguerra, announced that the situation is closely monitored by the Valruzian authorities and that the flawless conduct of the 4380 Nowogard Olympics is the priority of Valruzia and that embraces the free and unobstructed right of athletes to participate. MFA unveiled the results of the analysis conducted by the Department of Legal and Treaty Affairs in which the DLTA proves that the Mordusian legal system does not grant any authority to ban innocent citizens from exiting the country. Vinciguerra heavily criticized the actions of the MOC and government in Rechtenburg and said that the current practices of the Mordusian government resemble the practices of a third-world, rogue state which has nothing in common with democracy and respect for basic human rights. MFA announced that it prepared a quick solution for the Mordusian athletes, thanks to which they will have a free right o participate in the Olympics. MFA announced that the three athletes can be given Valruzian citizenship which will grant them a right to exit the country and travel to Valruzia. Vinciguerra said that if the Mordusian government will in any way try to impede the athletes' travel to the Olympics, this will be met with the fierce response of the Valruzian government. In a joint statement the Minister for Foreign Affairs Izabela Vinciguerra, and the President of the Valruzian National Olympic Committee Jerzy Strzembosz said that the intention of the MFA and VNOC is to make the 4380 Nowogard Olympics a great success and a great experience for all the athletes participating. The Valruzian flag airline LOT Group has announced that it signed the deal with the Baltusian regional airBaltusia thanks to which LOT will become a majority stakeholder of the airBaltusia with the 75% of the airline in control of the Valruzian airline giant. The news of the possible purchase shocked the airline industry as nothing has indicated that the Valruzian airline is interested in expansion. 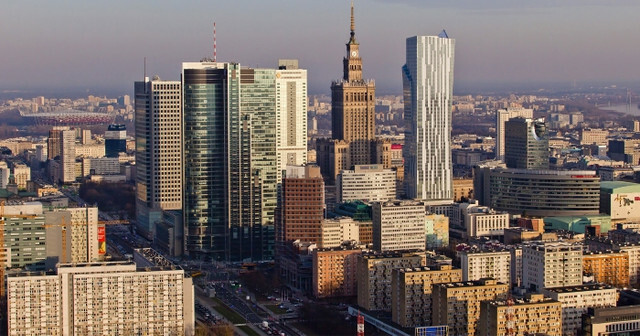 However, Dawid Kwiatkowski (Valruzian Economist's economy expert), point out that there are at least several reasons behind the deal between the LOT Group and airBaltusia. First, which Kwiatkowski points out, is the fact that LOT Group might have spotted a great chance of expansion as the airline industry is constantly increasing and especially in terms of regional airlines. 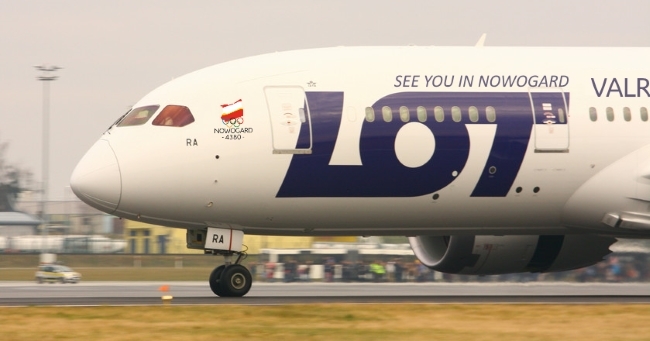 According to Kwiatkowski, LOT might also be encouraged by its good record in terms of small regional airlines. In 4330 LOT have established, from scratch, a brand new low-cost airline in Tukarali - Tucan Air - which quickly became quite popular with passengers in both Tukarali and Valruzia and soon started to expand even further. Kwiatkowski points out that LOT might have prepared the same scenario for airBaltusia, but this time at a much lower price, as LOT invests in an already existing company, and is relieved from a great economic expense. CEO of the LOT Group Izabela Hanot said that the airBaltusia has a great potential and has a very professional staff and that it was what brought the attention of LOT Group. According to Hanot LOT is very interested in expanding its activities further and further and wants to provide a professional air travel for passengers from all over Seleya and, on a greater scale, Terra. Hanot said that the deal includes the 100% ownership of the airBaltusia fleet and 51% of the votes in the board of the airBaltusia with the remaining 49% in the hands of Nuevas family - the founders of the airline. As of 4380 airBaltusia upkeeps an all-Reglair i3 fleet of 12 planes. Hanot announced that the LOT Group is preparing a deal with the Reglair for additional planes for airBaltusia and that the LOT Valruzian Airlines will closely cooperate with the airBaltusia to work out the best solution for the company's future as well as working out the new routes for the new LOT's airline. What's sure that LOT will surely increase the number of routes between Baltusian and Valruzian airports, especially Nowogard and Victoria, as currently, LOT has been struggling with securing the sufficient number of seats for this route in particular. The route between Nowogard and Victoria is especially popular due to the fact that Victoria is the headquarters of the Seleyan Union and hundreds of Valruzian officials take the route every day. As for now LOT upkeeps 6 daily flight to and from Victoria, and Tucan Air upkeeps seasonal flights between May and August.